Antifa’s self-proclaimed love and tolerance is on full display in this video. 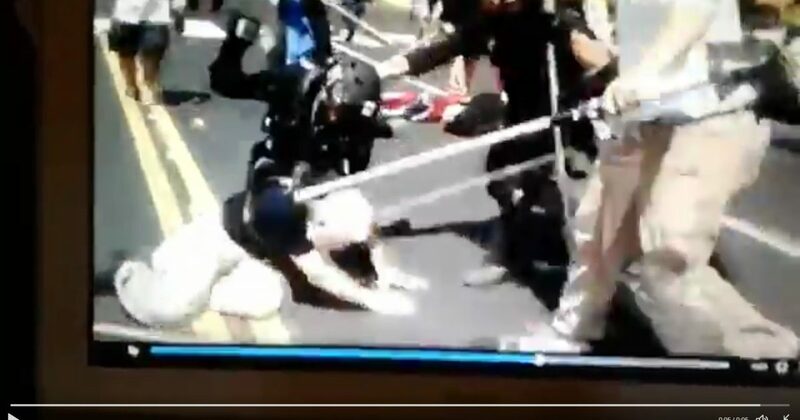 Watch these criminal scumballs mercilessly beat an old man in Charlottesville who appeared guilty of nothing more than crossing the street. I’m not sure what flag the old man is carrying, but I presume it has to do with the preservation of Confederate historic symbols like the statue of Robert E. Lee that many in the uber-liberal city of Charlottesville want to remove forever. Of course, Southerners preserving their cherished heritage is verboten by liberals, who are destroying that heritage and beating old men senseless in the street for objecting. No question about it, Antifa should be labeled a domestic terror group. Likewise, BLM.